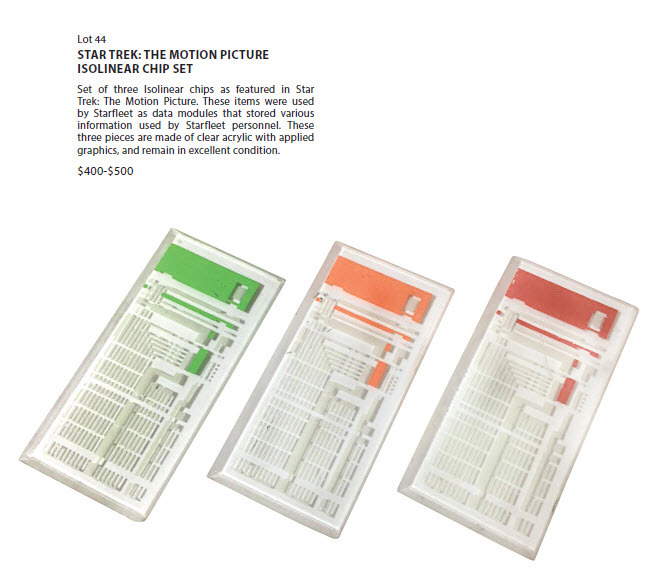 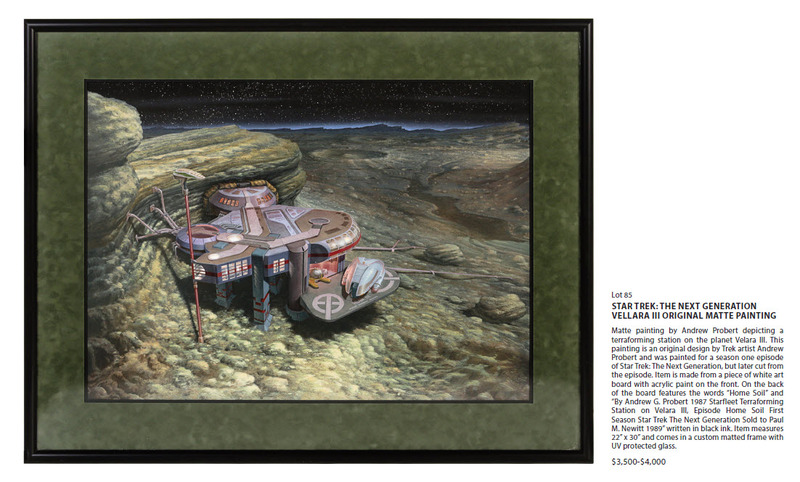 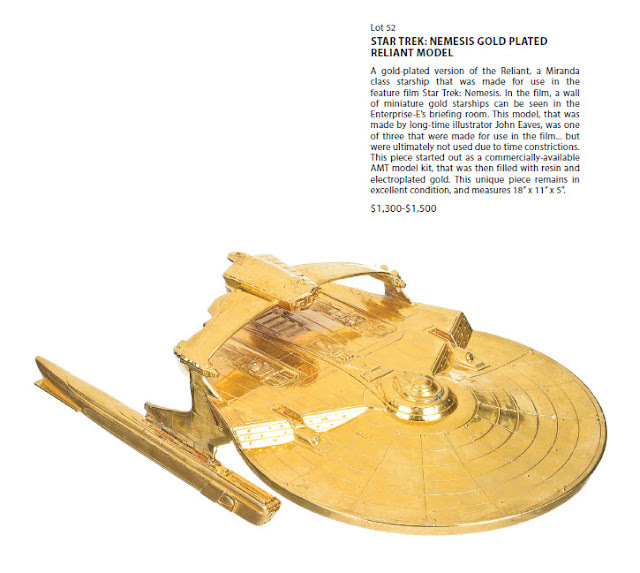 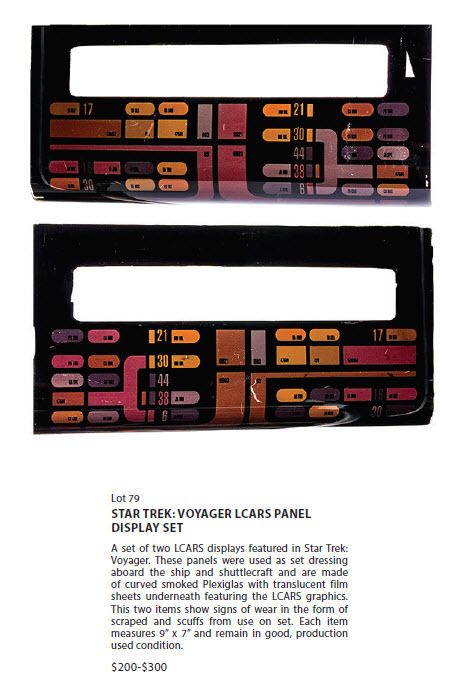 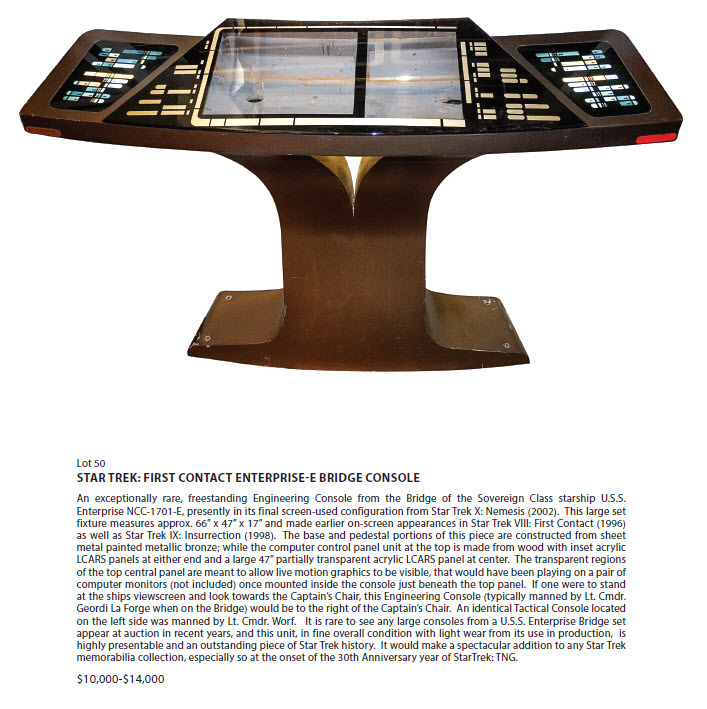 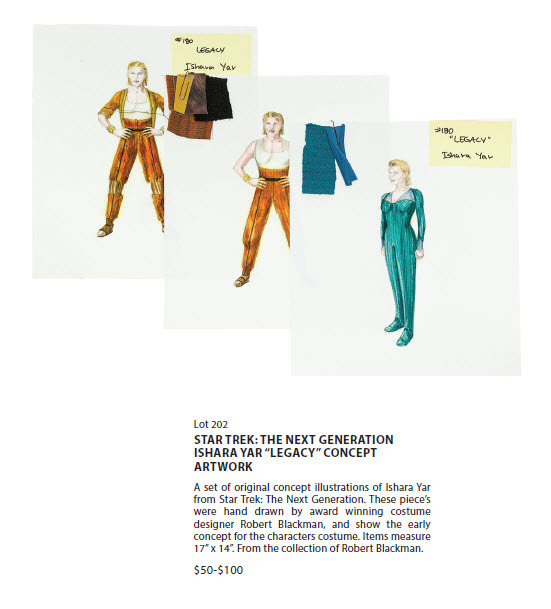 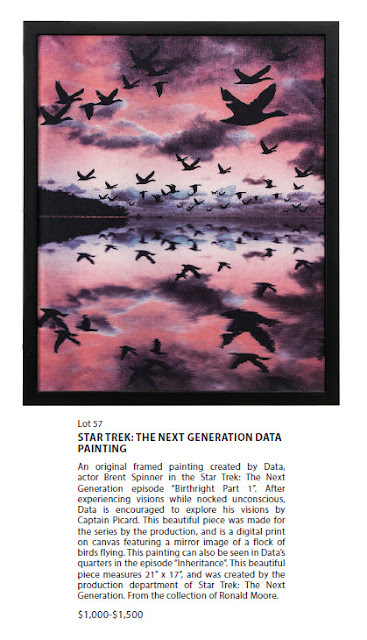 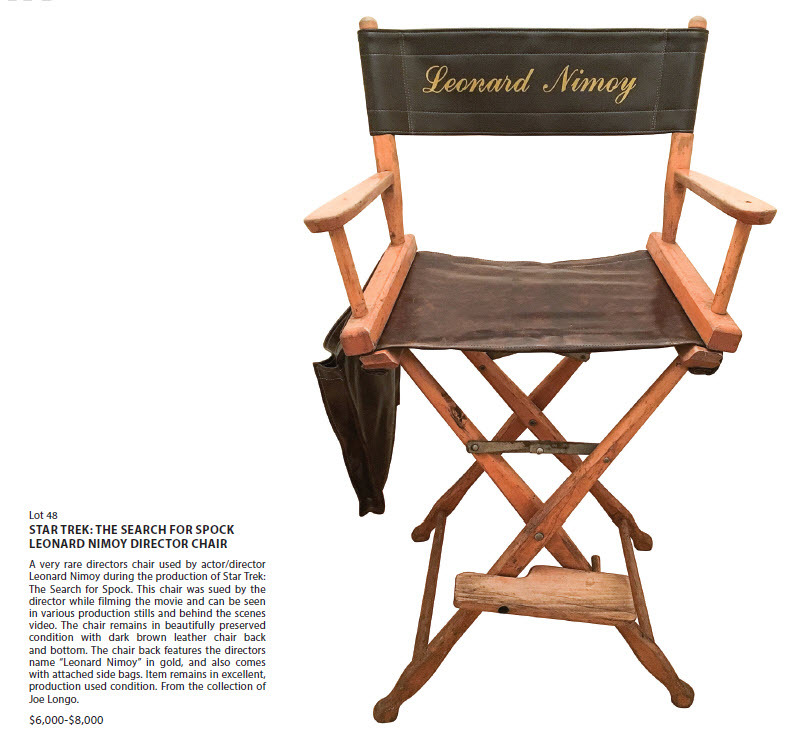 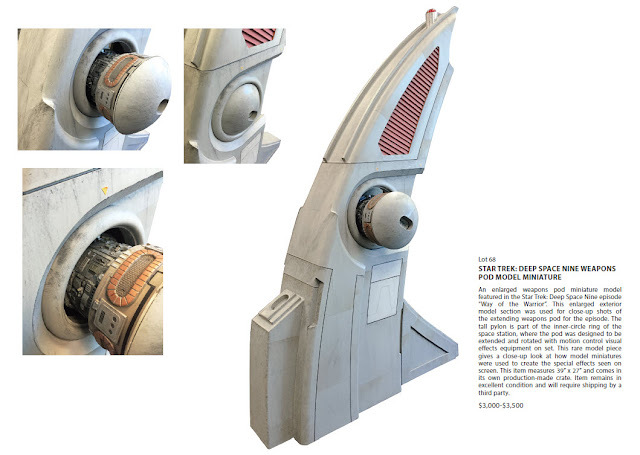 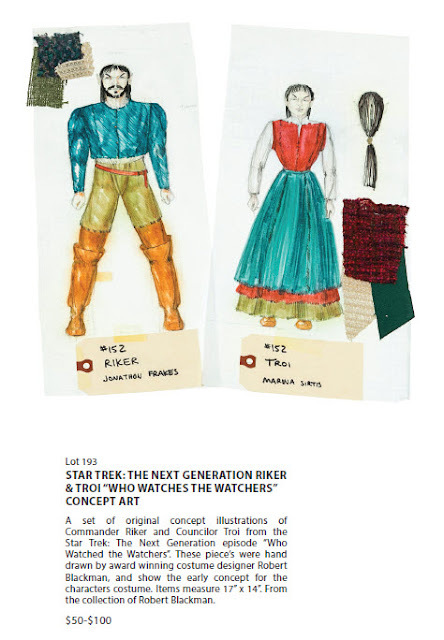 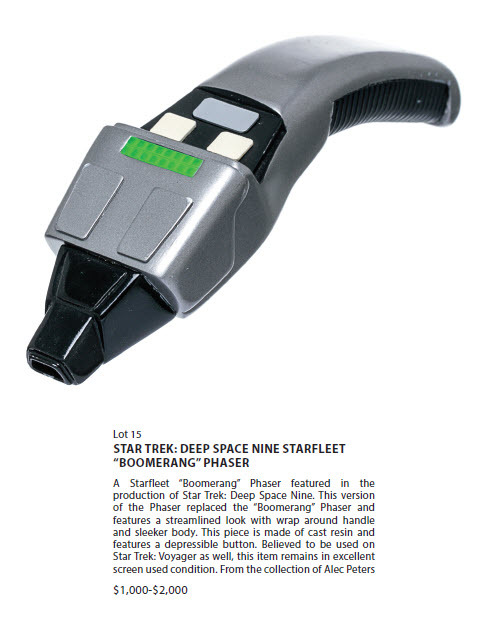 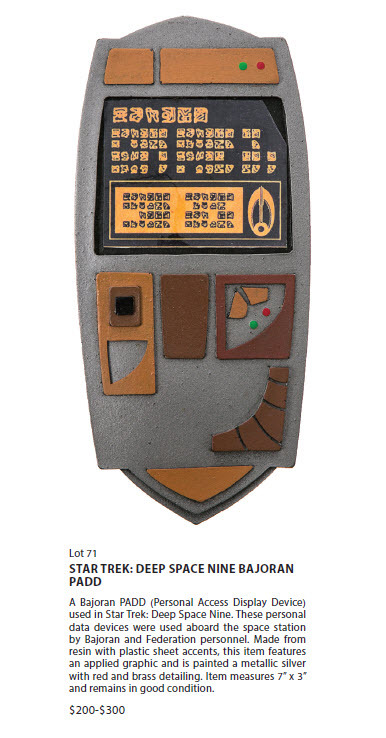 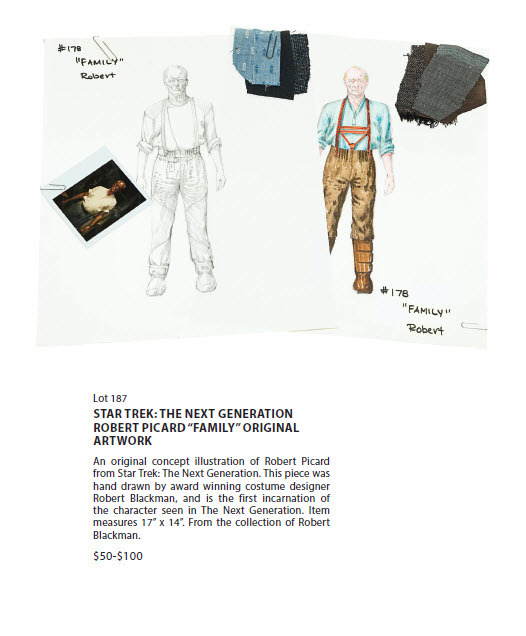 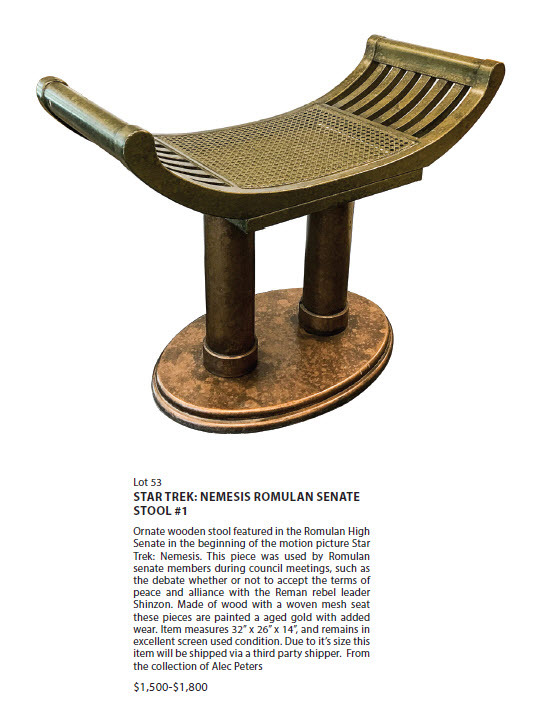 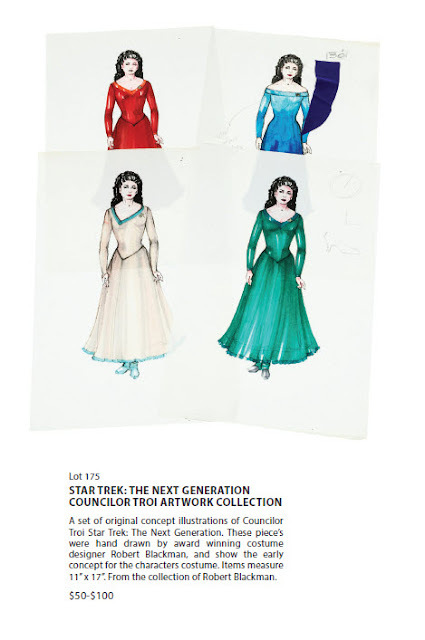 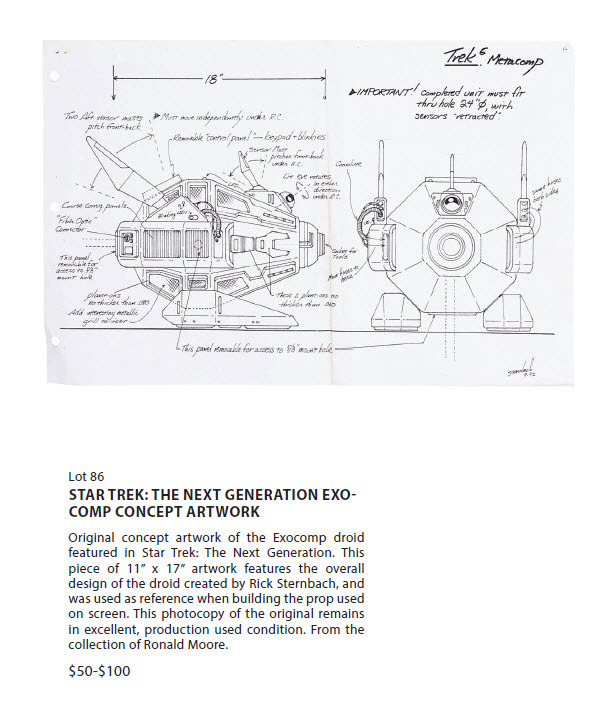 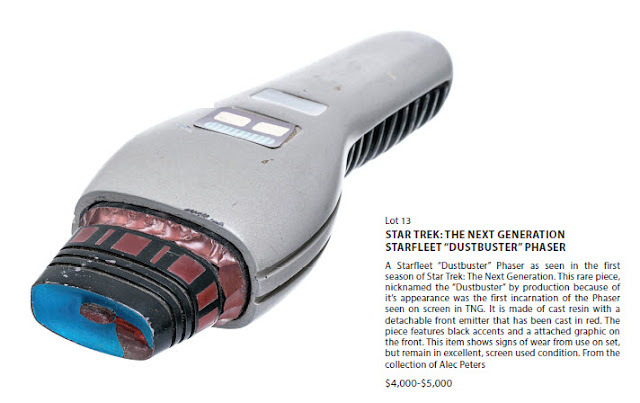 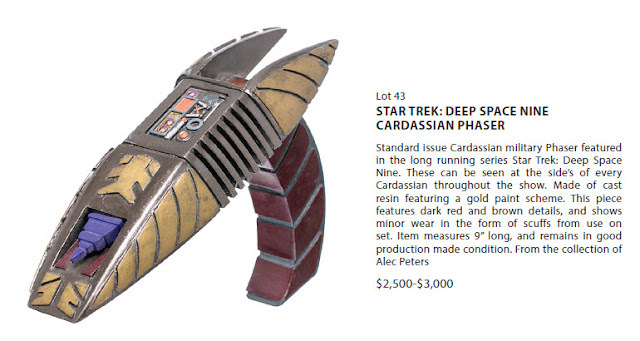 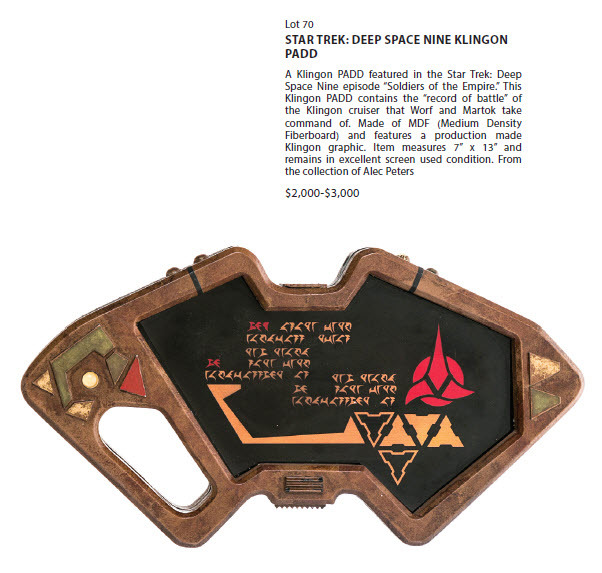 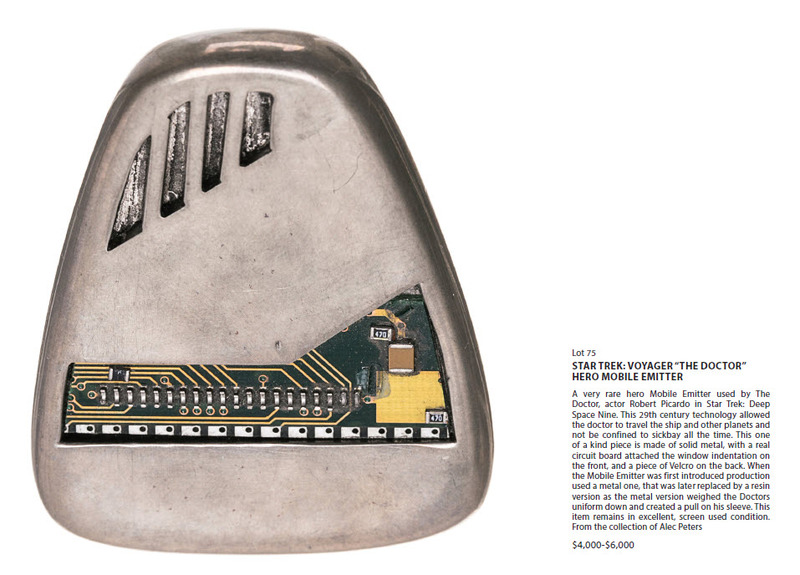 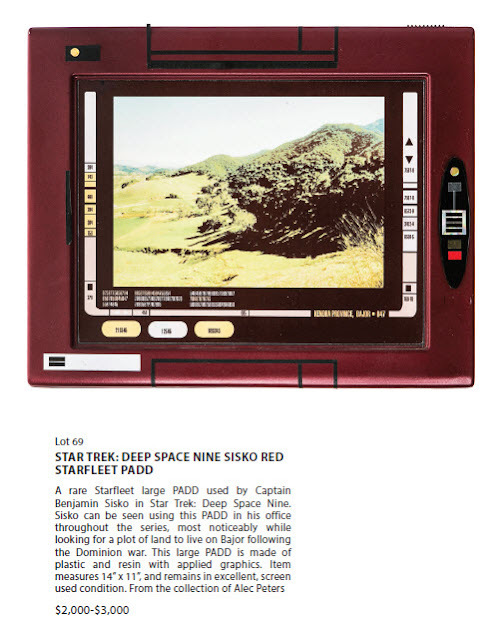 On Saturday, September 10, 2016, starting at 10:00 am Pacific Time, the Propworx Star Trek Auction IX will take place in a live, online bidding session at LiveAuctioneers.com. 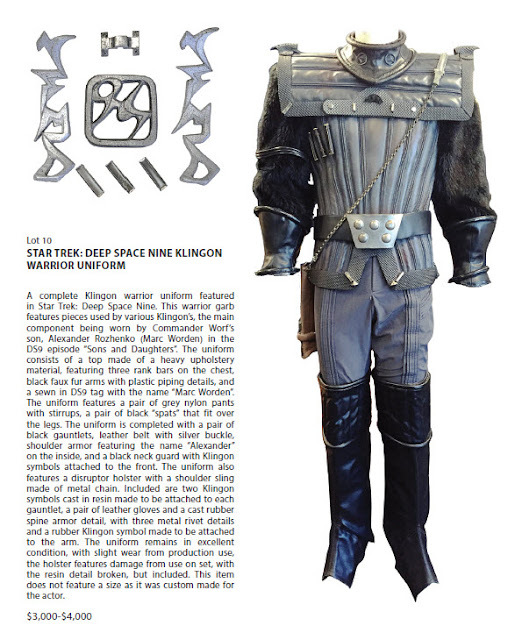 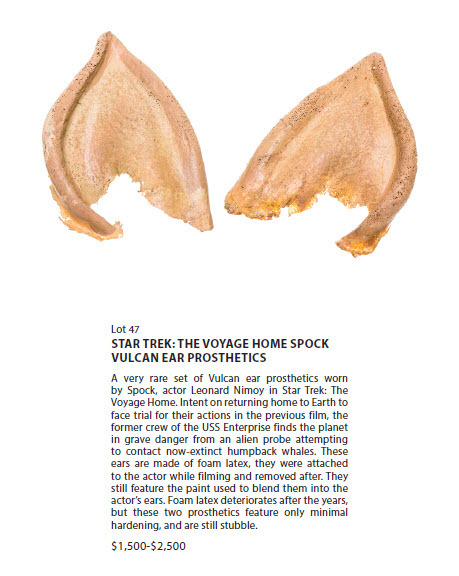 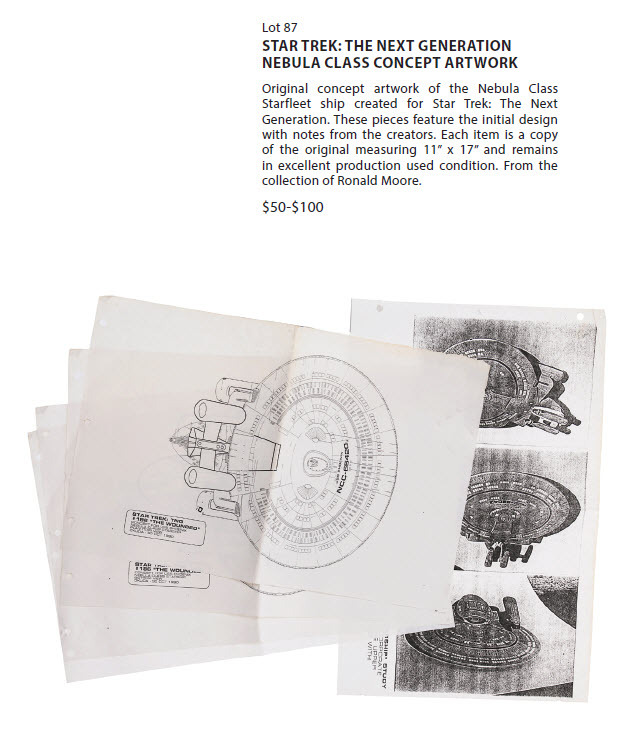 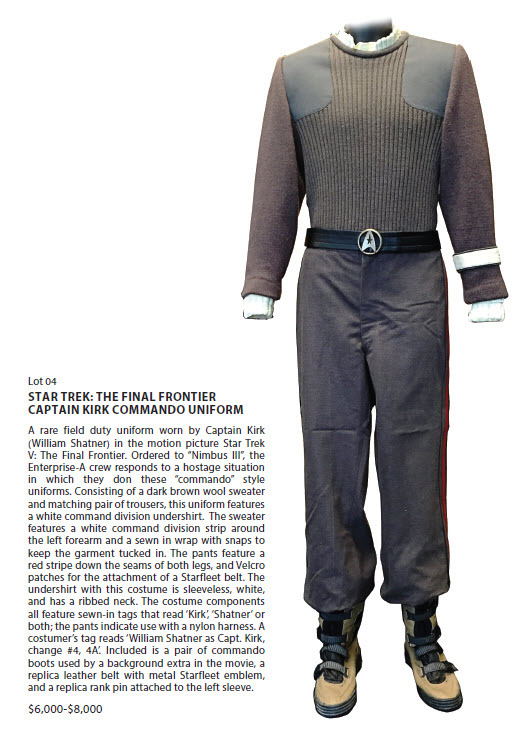 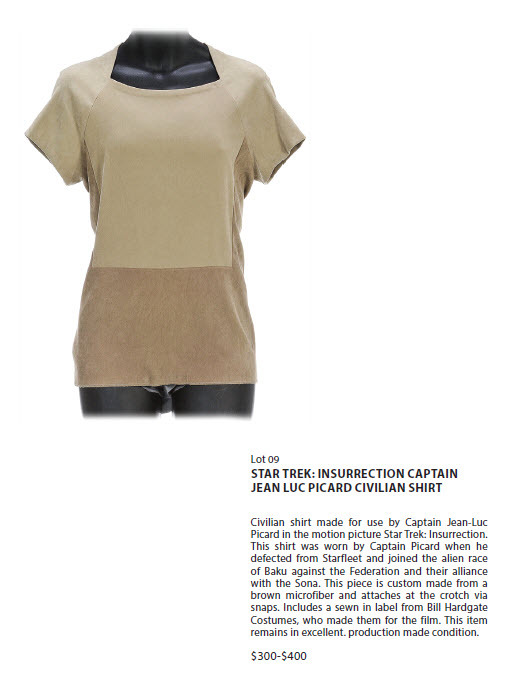 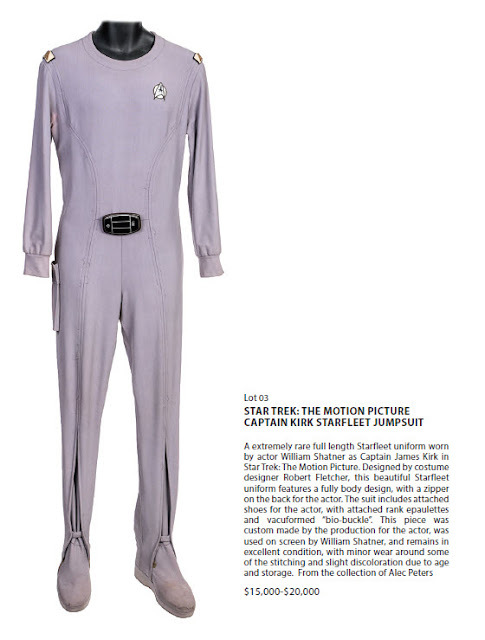 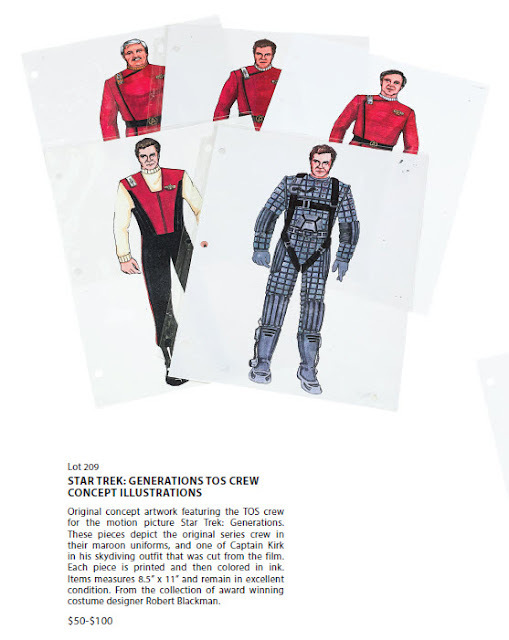 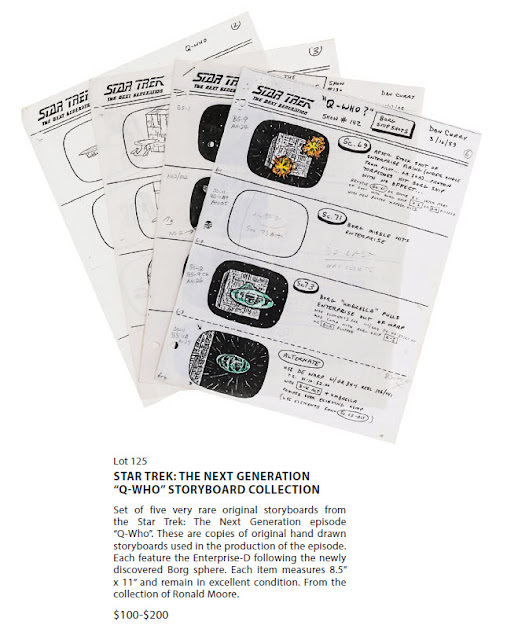 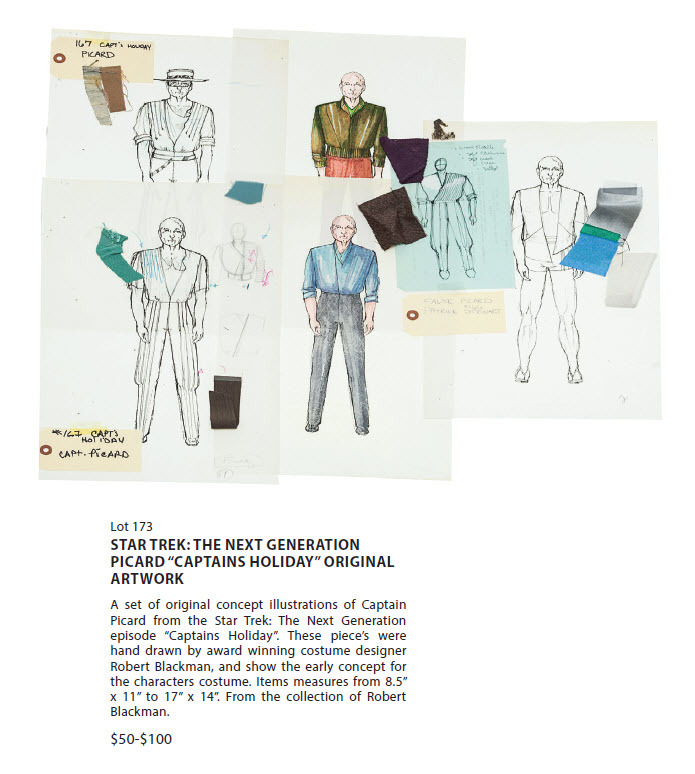 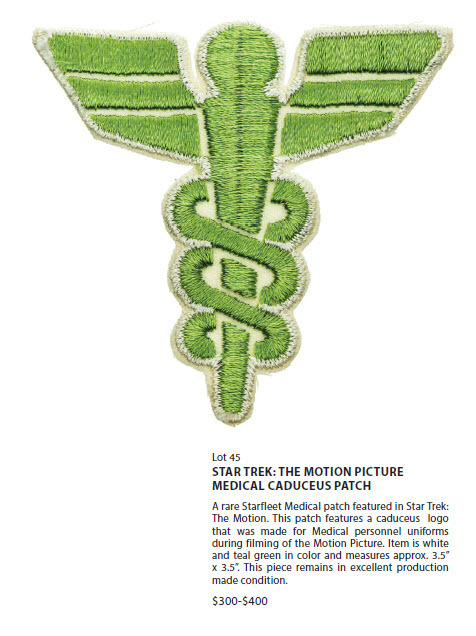 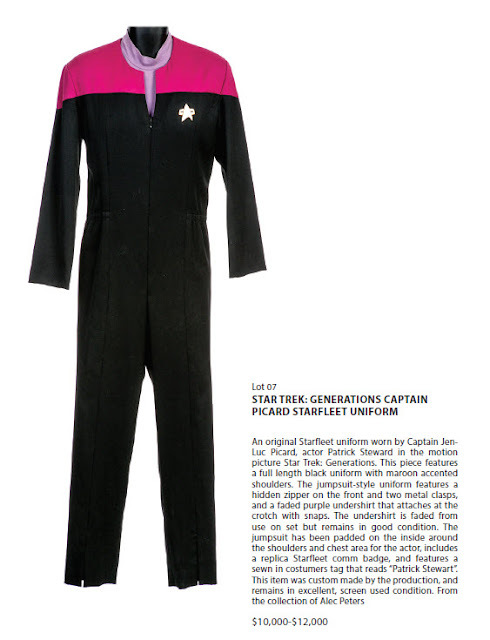 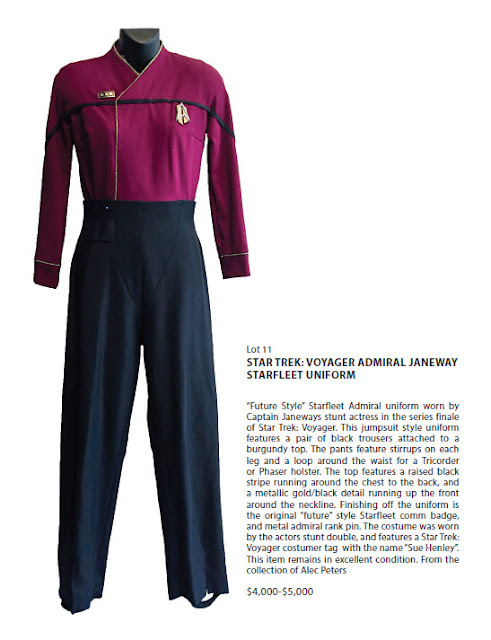 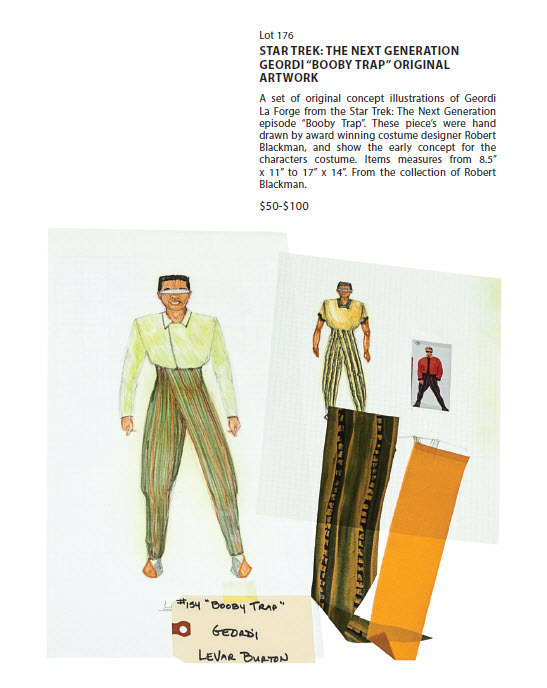 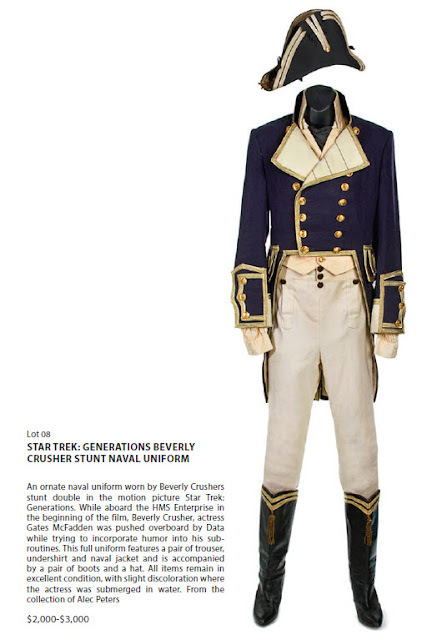 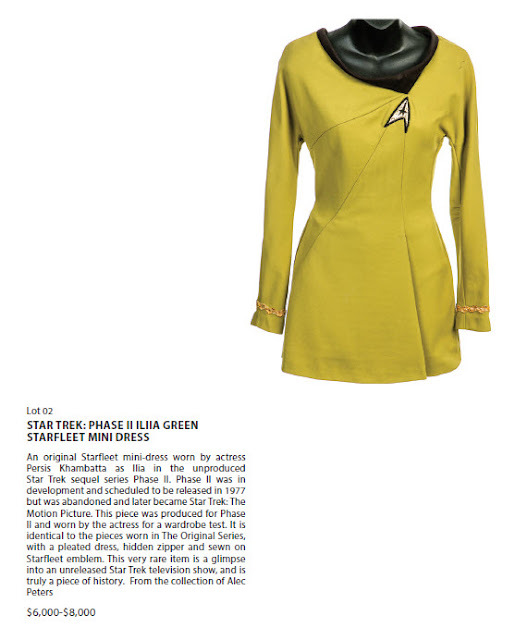 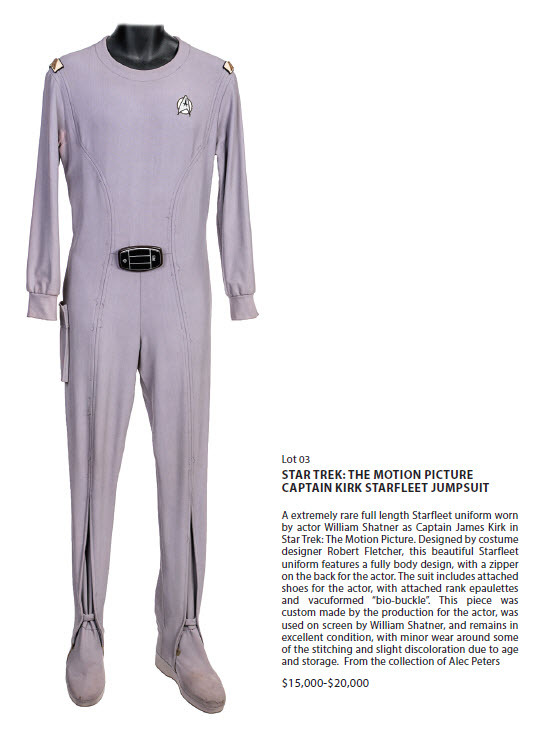 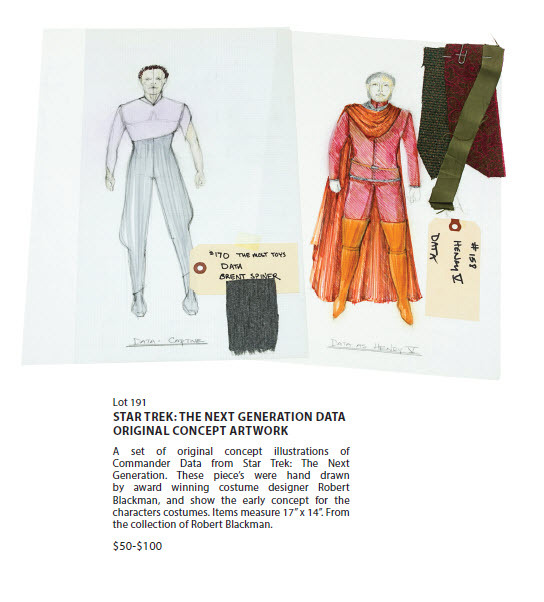 A total of 215 lots of Star Trek memorabilia will be offered in the sale, which is highlighted by a Leonard Nimoy worn TOS orange Radiation helmet from the 1st season episode "The Naked Time"; 4 different screen worn Starfleet Captains uniforms (2 feature film Shatners, 1 Stewart and 1 Mulgrew); an extremely rare Star Trek: First Contact Enterprise-E Bridge Console; an amazing 32 lots of various Federation and alien phaser weapons (including a few Klingon knives); and 47 lots of beautiful concept artwork by Emmy Award winning Star Trek Costume Designer Robert Blackman. 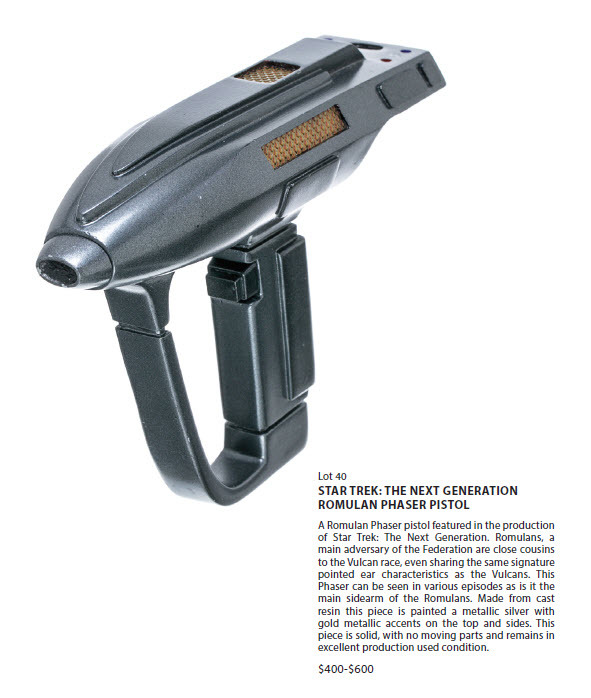 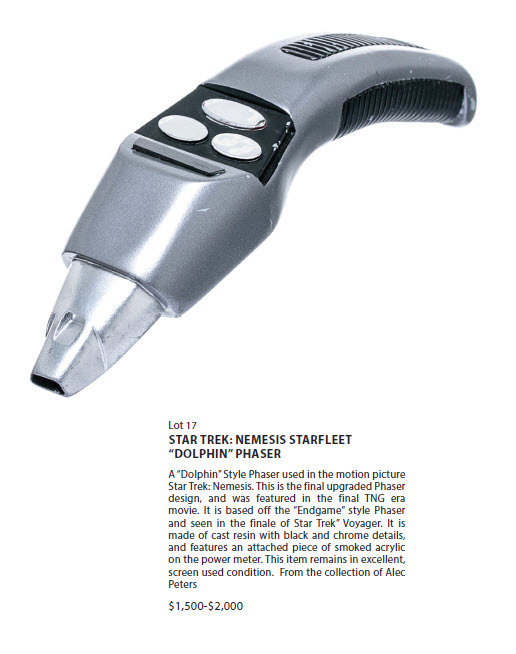 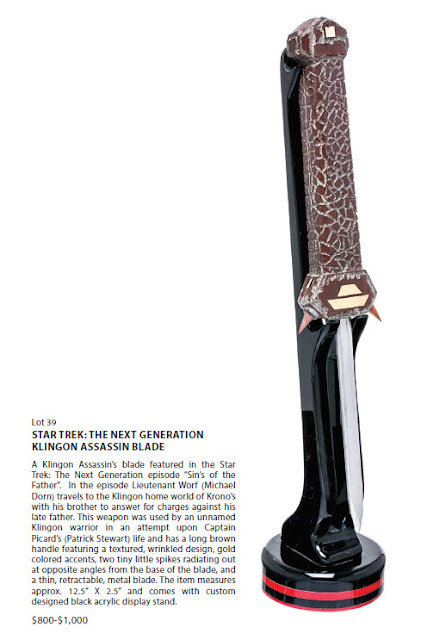 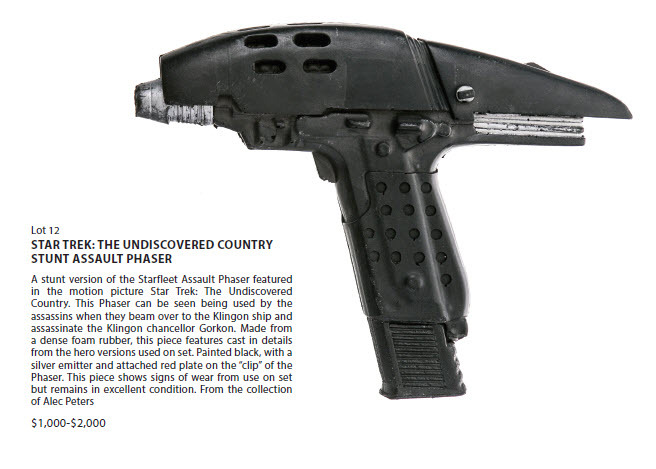 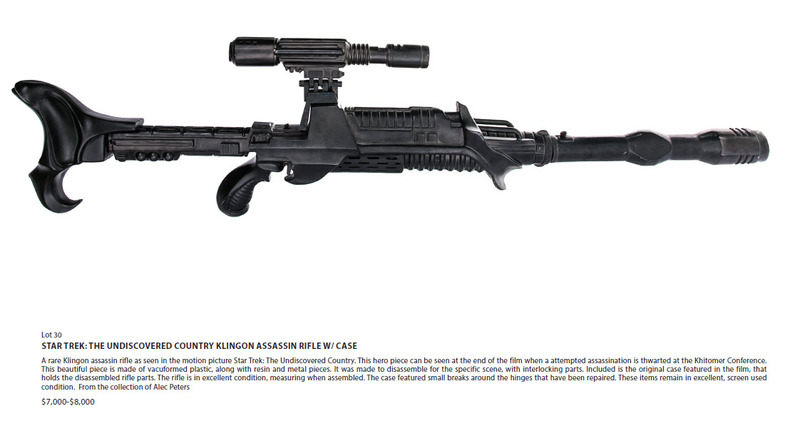 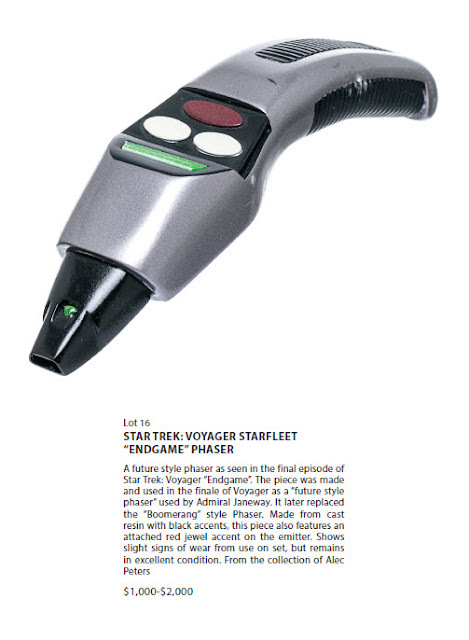 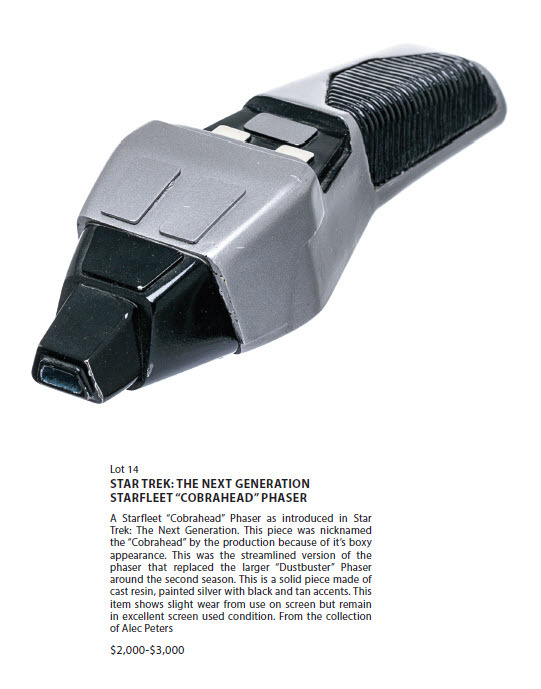 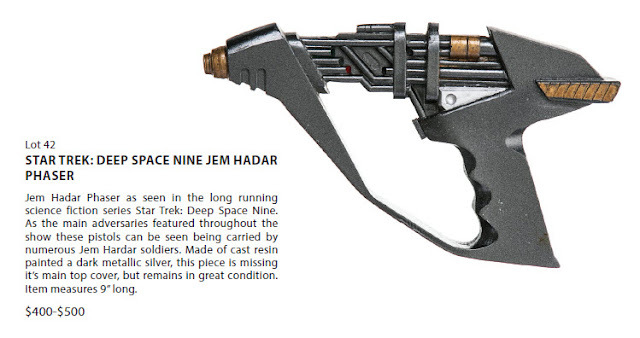 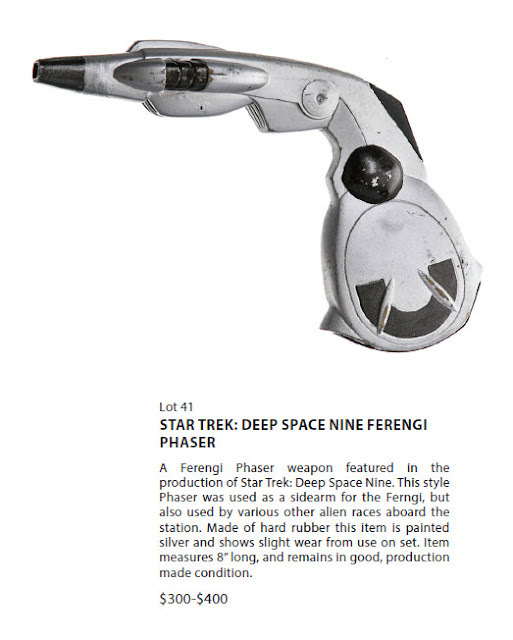 The phaser offerings are particularly noteworthy, given the wide selection of weapon styles and varieties represented in the sale - that range from small pistols to the largest Federation EVA rifles - that one would be very hard pressed to find a collection of Star Trek phasers ever offered before in a single auction that is more comprehensive than this. 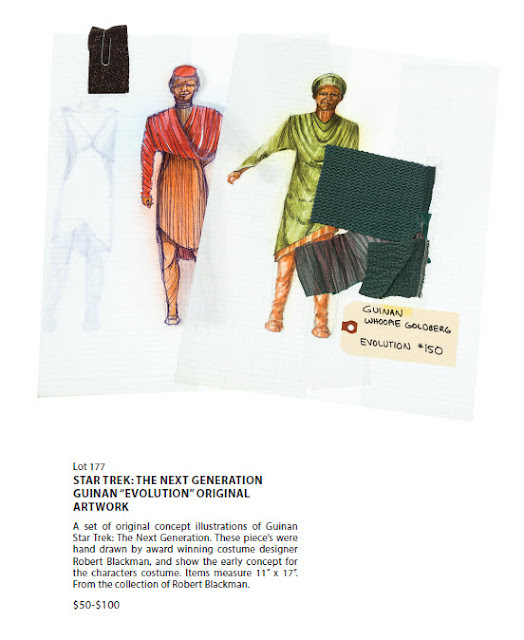 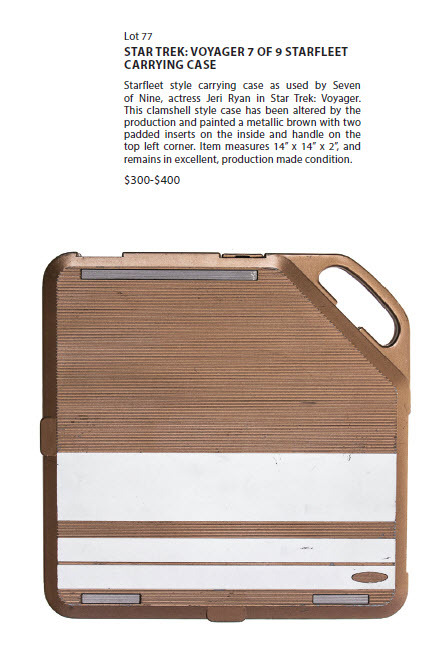 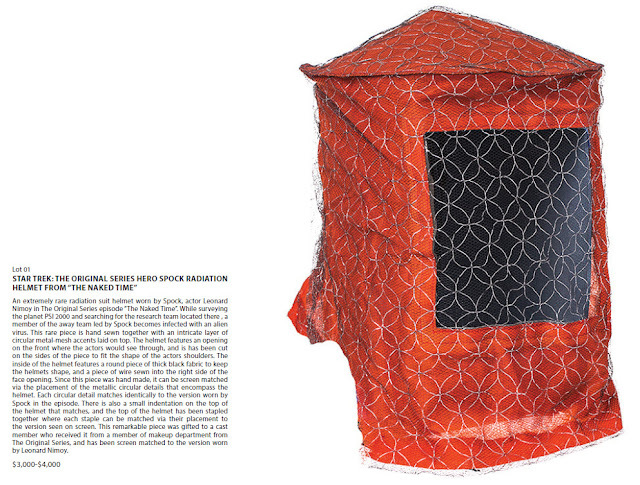 Thanks to my good friend Gerald Gurian for putting this article together!